At the OakMed, we offer a variety of services and programs to meet the needs of our patients. In addition to the care that you receive from your Family Doctor or Nurse Practitioner, the OakMed Family Health Team also has other health care providers available to support your needs. These programs aim to increase the quality of your health, by either helping to manage current conditions or assisting in preventing future health problems. The Urgent Care Clinic is only for the patients of the physicians of the OakMed Family Health Team who need to be seen the same day and cannot be booked in regular office hours. It is intended to treat non-life threatening medical problems and in a medical emergency, call 911 or go to the nearest hospital emergency department. Note: No Narcotics, physicals, test results, prescription renewals, or injections will be prescribed or given at the clinic. Patients will be seen by a Physician or Nurse Practitioner on a first come first serve basis and subject to having made an appointment that same day. Telehealth provides free access to a registered nurse 24/7. A nurse can provide both health advice on a specific problem or general health information. They do not diagnose and do not replace your physician or 911. This is a surveillance and measurement function for patients who require anticoagulation therapy. These patients are at an increased risk of forming a blood clot or have experienced a blood clot recently. The prothrombin time (PT) is used, often along with a partial thromboplastin time (PTT), to help diagnose the cause of unexplained bleeding or inappropriate blood clots. The international normalized ratio (INR) is a calculation based on results of a PT and is used to monitor individuals who are being treated with the blood-thinning medication (anticoagulant) (such as) warfarin (Coumadin®). While these patients are on Coumadin they will be required to have their blood checked on a frequent basis. A referral requisition is needed from your Family Doctor or Nurse Practitioner. Our Diabetes Program is specifically designed to work closely with our patients who have Type-2 diabetes. This program enables the provision of focused and applicable resources to high risk diabetes patients to improve self-care and awareness with their diabetes management. We provide individual counseling as well as monthly group educational sessions in collaboration with the Halton Diabetes Program and encourage frequent follow-up with the diabetes team and family physicians. If you are interested in participating in our diabetes education program please speak with your family physician about a referral or give us call and speak to one of our nurses. The Memory Clinic is a special clinic dedicated to helping our patients with memory difficulties, dementia, and Alzheimer’s care. Our team of skilled healthcare professionals assesses and provides recommendations on many aspects of memory function, including available treatments and driving safety. The team members work with family physicians at OakMed to provide comprehensive care for patients and family members dealing with dementia and other conditions involving memory loss. Our goal is to help patients with memory difficulties maintain independent living and best quality of life for as long as possible. Please talk to your Family Doctor to receive a referral to the program. Polypharmacy refers to the effects of taking multiple medications concurrently to manage coexisting health problems, such as diabetes and hypertension. The negative consequence of polypharmacy is the prescribing and use of too many or unnecessary medicines at dosages or frequencies higher than therapeutically essential. Even though multiple medications are often necessary and can constitute best care for patients, sometimes this can also lead to adverse effects. Patients whose prescriptions number in excess of six are being evaluated. A special one-on-one consultation is available for them and their family/care givers to review and discuss medications, medication management and their particular medication history. Book an appointment with our pharmacist to take advantage of this program. Registered Dietitians (RDs) are your trusted health professionals in food and nutrition! They are uniquely trained to translate the latest evidence and research into understandable and practical nutrition recommendations to improve your health or manage your medical conditions. Our RD can help you with weight management, Diabetes/pre-diabetes, heart health: heart disease, high cholesterol, hypertension, digestive health, kidney disease, pregnancy, infant/child nutrition, vitamin/mineral deficiencies, special diets, disordered eating, sports nutrition etc Individualized treatments or group programs can be offered according to type of treatment and need. You can take advantage of Nutrition programs and services with a referral from your Family Doctor or by contacting one of our Registered Dietitians directly. Telemedicine uses video cameras, Store Forward software and monitors to connect you to specialists who are not located near you, reducing the need to travel to receive care. You will be able to see, hear and talk to a doctor or other health care professional. A telemedicine appointment is just like a regular appointment; only the specialist you will be seeing and speaking with is on a monitor. Referral needed from your Family Physician’s office. Do you have trouble getting to sleep? Is it difficult to get back to sleep after waking up at night? Looking to get more time in bed actually asleep rather than wishing for sleep? In many cases, starts with an outside cause, such as a stressful event, but continues beyond the initial cause due to fretting about not being able to sleep. Often it is decided in advance that sleep will be poor, the following day will be tiring and there is nothing that can be done about it. Join this program led by a registered social worker and registered pharmacist to learn effective strategies for getting a good night’s sleep. For more information or to register, contact one of our Social Workers. A smoking cessation program will provide a one to one support service and advice to individuals who want to give up smoking. The program includes a readiness assessment, where a patient may enrol in the smoking cessation program with our pharmacist as well as a first consultation and a number of follow-up counseling sessions. The pharmacist, together with other FHT health professionals will help to facilitate access to, and where appropriate, supply stop smoking drugs and aids. So, patient’s may receive FREE nicotine replacement therapy – the patch, gum, lozenge, and inhaler to help stop smoking! This program has remarkable results. It’s never too late to quit! Research shows that up to one in four adults has an anxiety disorder sometime in their life, and that one person in ten is likely to have had an anxiety disorder in the past year. The good news about anxiety disorders is that they are treatable. BREATHE is a FREE four-week symptom-management seminar series that is helpful for individuals struggling with anxiety, whose worries have become uncontrollable or excessive, making it hard to function at work, home, or school. This seminar series will help you understand anxiety and build skills to manage your anxiety. Participants will learn tools and coping strategies to help manage anxiety and panic. CHILL is a friendly, educational program for YOUTH experiencing anxiety, whose worries have become uncontrollable or excessive, impacting the way they function at home, school or life in general. RISE UP is a FREE four-week workshop series for depression that is helpful for individuals struggling with mental wellness, low mood, or mild to moderate depression. The focus of the group is on self-care depression management to help improve your mood and sense of well-being through the use of cognitive behavioral therapy skills. If you would like to participate in the group, or would like to get more information about it, please speak with your physician or one of our Social Workers. This is a seven-week Weight Management program focusing on achieving healthy weight using a lifestyle approach. It is designed to help overweight patients improve their eating habits and find ways to increase activity levels and make permanent lifestyle changes. This is not a program that focuses on “dieting”. You set your goals and make a plan that works for you. You can sign up for this program at the front reception or contact one of our Dietitians. Patients identified with high blood pressure and high cholesterol will be provided with education that supports individual learning and self-management of these conditions. In these one on one sessions you will learn healthy eating strategies for your cardiovascular health. Speak to your physician, dietitian or clinic nurses to receive a referral to the program. Do you have ASTHMA or COPD? Do you suffer from SEASONAL ALLERGIES? Do you have TROUBLE BREATHING during exercise? Do you ever feel SHORT OF BREATH? Are you a SMOKER? If you answered yes to any of these questions, you might want to have your lungs tested! Come join us for lung testing, symptom management and education right here in our office! 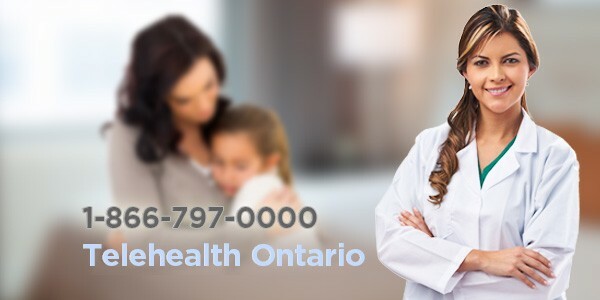 OHIP covers a wide range of health services. However there are services not covered by OHIP and therefore require separate billing processes. We charge patients a fee for providing uninsured services. At OakMed we take the leadership in disease surveillance, detection, treatment, prevention and consultation. We work together with our community healthcare and social services partners to protect health, prevent harm, and prepare for threats by providing diagnostic and treatment services to the patients who are enrolled with our physicians. Providing integrated and comprehensive community-based healthcare solutions through collaboration among family health team members.